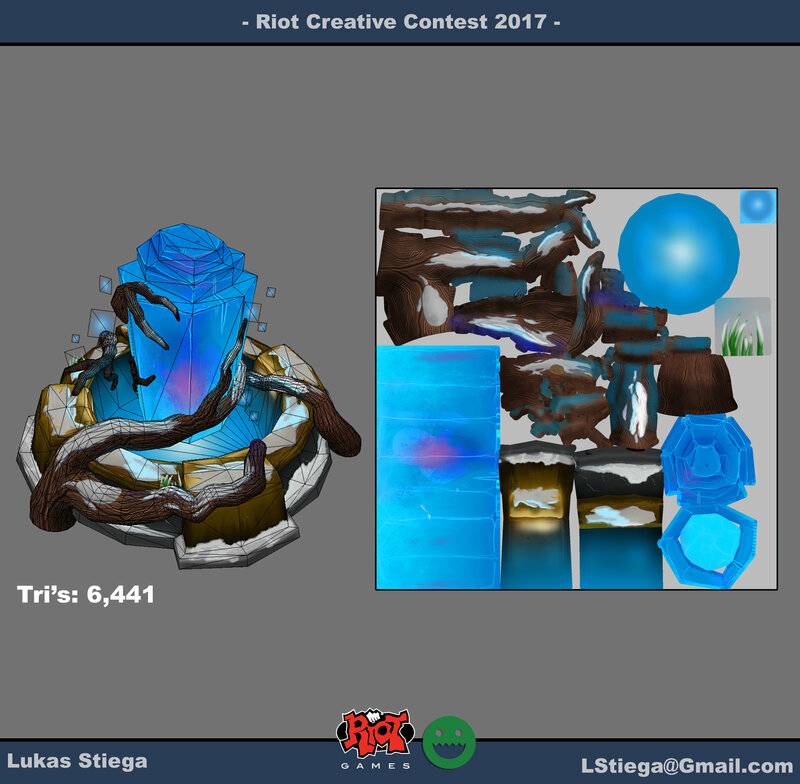 I am very excited to be participating in this contest, as it is my first time in any contest! So for that past few days I have been brainstorming about possible themes or ideas that I could use and since the Chinese New Year is just about here I decided to make that my theme! I started creating a Reference Sheet for me to use. 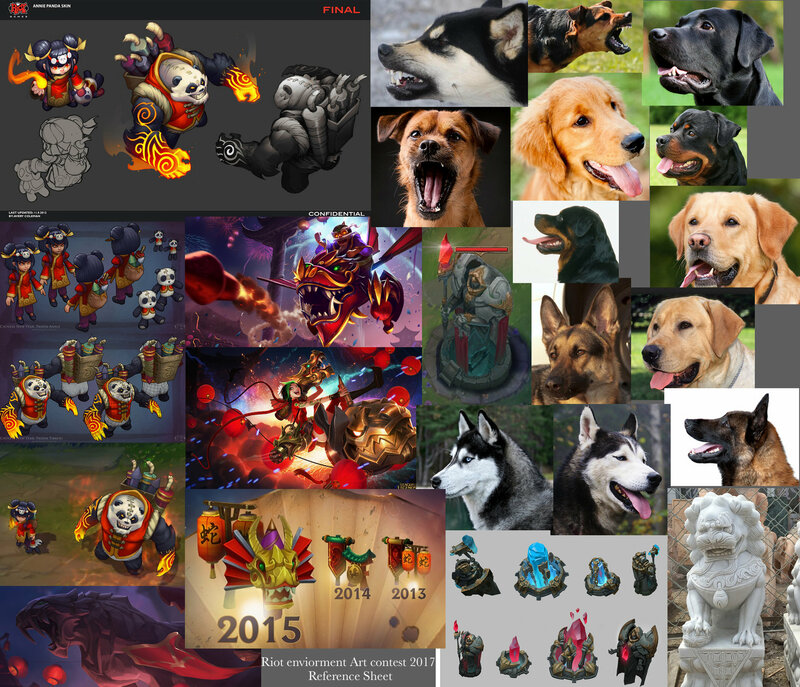 I know I want to include fireworks as well as somehow incorporating a dog, since 2018 is the year of the dog. Please let me know what you think and if you have any suggestions, All critiques are welcome! 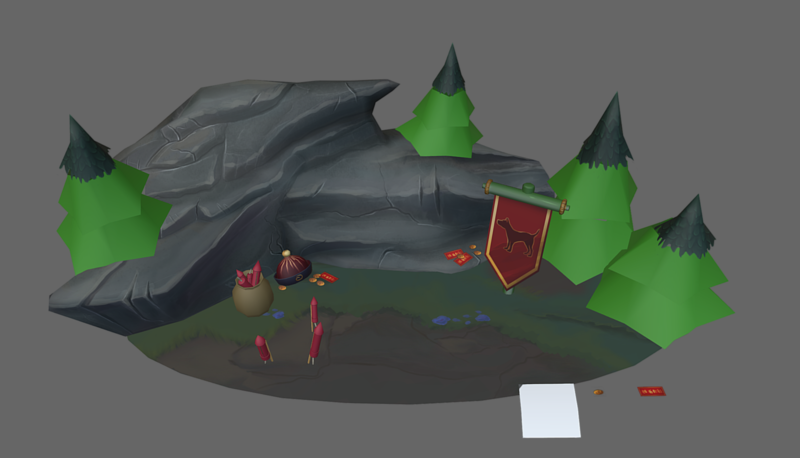 Getting started on texturing the Minion den, the cards in front will be placed around the scene when textured. Also can anyone let me know what the best way to get high resolution shots is. 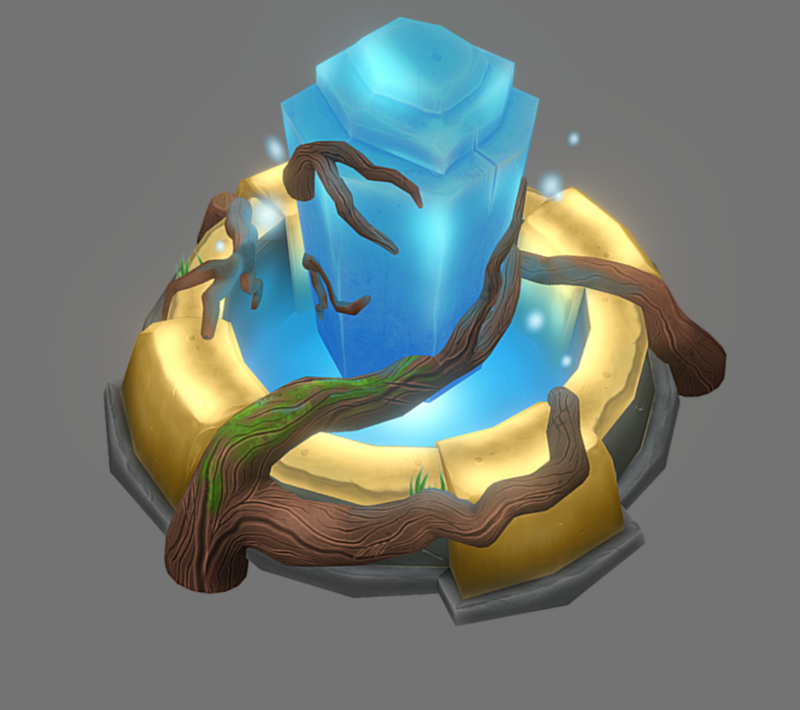 Slight update on the texturing process. 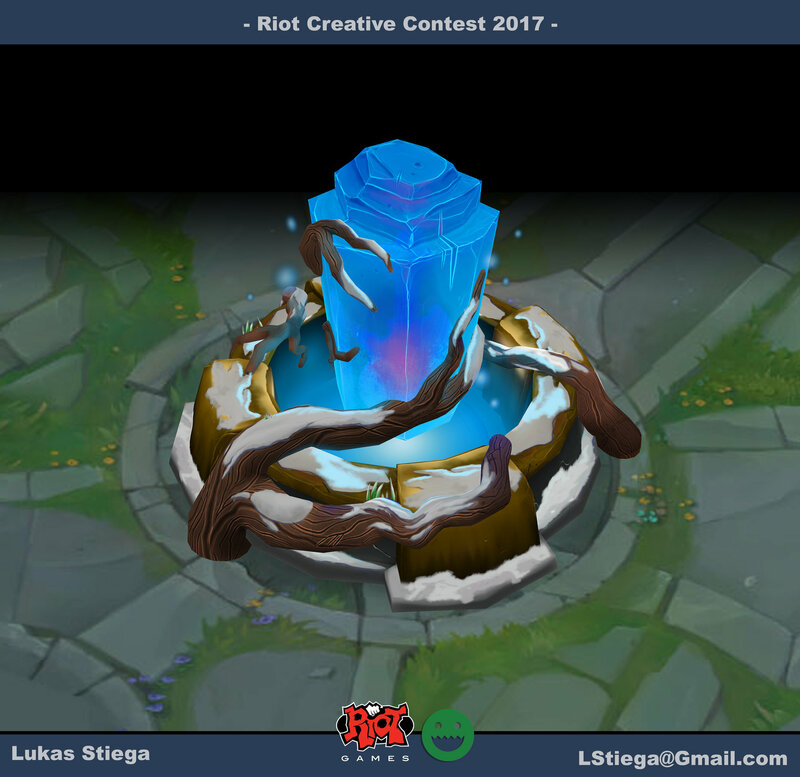 Still working on getting the textures looking right, changed up the layout a bit in order to fit the perspective of League of Legends more. Let me know what you think! 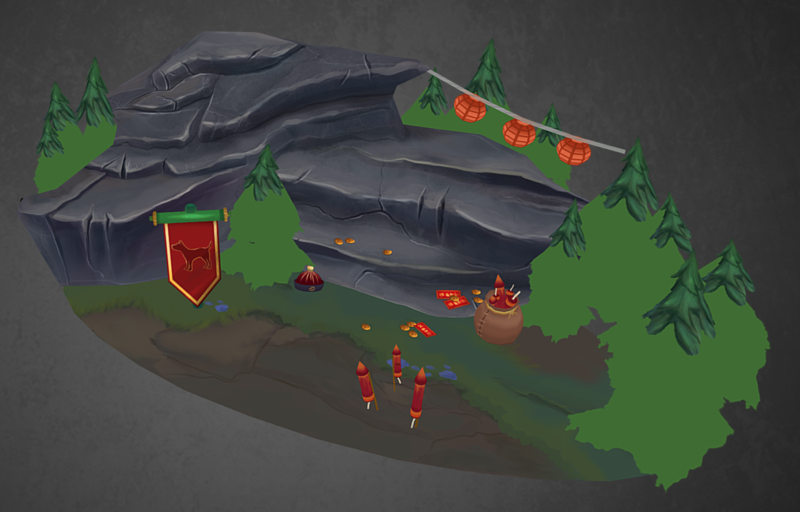 Slightly changed up some of the textures, also added some lanterns to the scene to make it more interesting. I am planning on moving them around though. 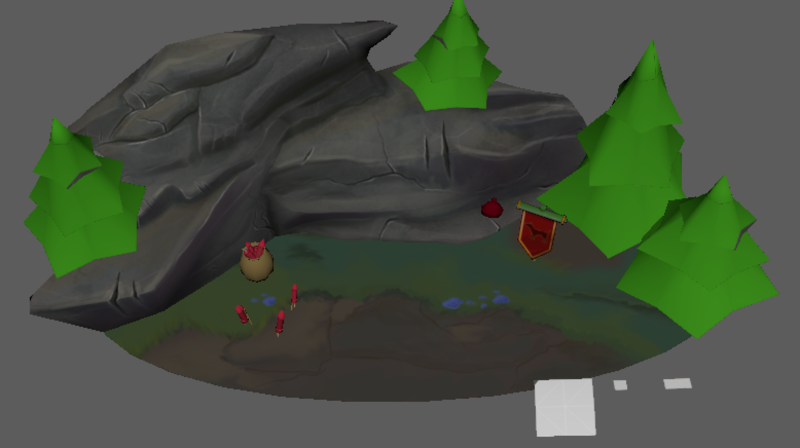 Done a little bit more work on the scene, mainly focused on rendering out the ground. I also changed out some of the models into cards in order to minimize the polycount, at the moment around 3000 tris. Still a lot of work left, just hope I have enough time! 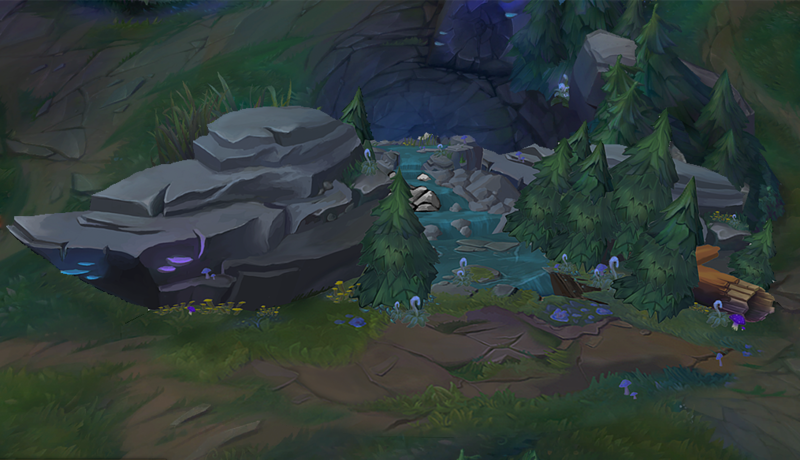 Small update today, mostly trying to get the trees looking right. Also decided to remove the lanterns for now, I felt they were taking away more than they were adding to the scene. So its been a little while since I posted a progress shot, been a bit busy with school. I have started blocking out the turret but eventually went back to the minion den. 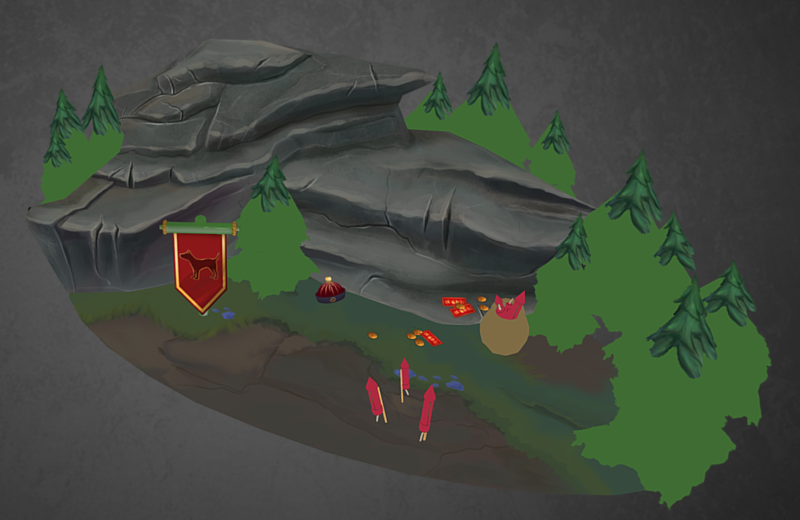 I decided that I didn't really like how my scene was coming out, so I decided to completely change it! 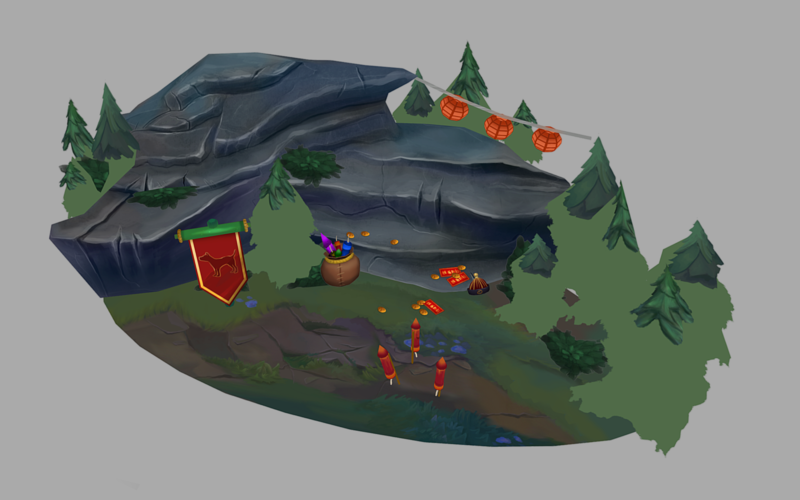 I decided to drop the whole Chinese new year theme and instead am just trying to create a very natural scene. 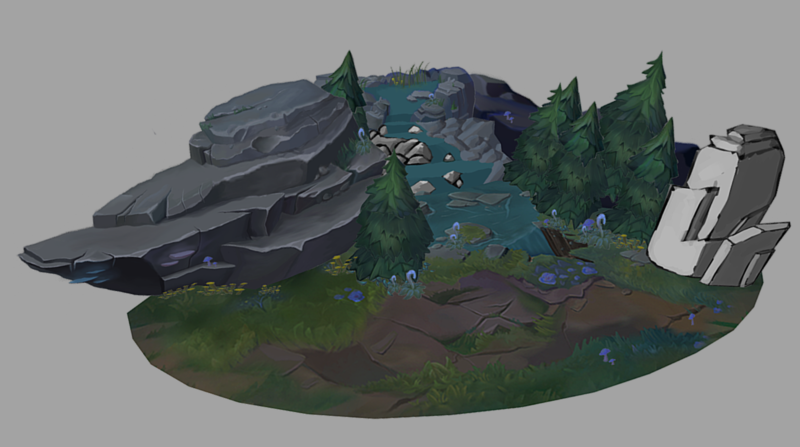 I have more or less blocked out what I want it to look like, the rock on the left is more or less rendered out but everything else still need a lot more work! 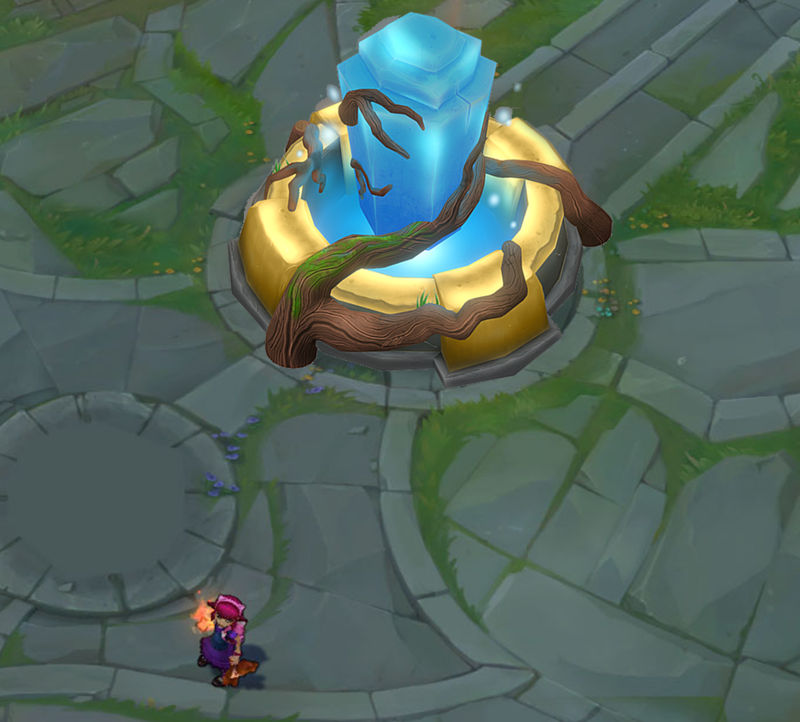 I envision this being somewhere around the bottom side blue buff spawn area, so I am trying to go with a similar color scheme. I think the waterfall makes a great focal point, looking forward to seeing it! I definitely prefer your new version of the creature den. Keep in mind that the deadline is only about two weeks away Keep it up! 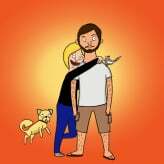 @jenna_dean ; @RobertTerritory ; Thank you guys for the feedback! 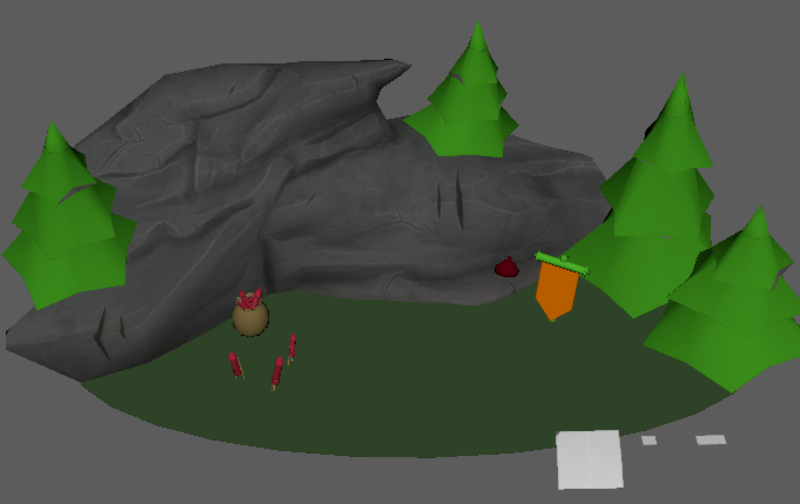 Small update from today, didn't have too much time to work on it but I managed to nearly finish up the trees and work on the ground plane a bit as well. Just hoping I will have time to finish! 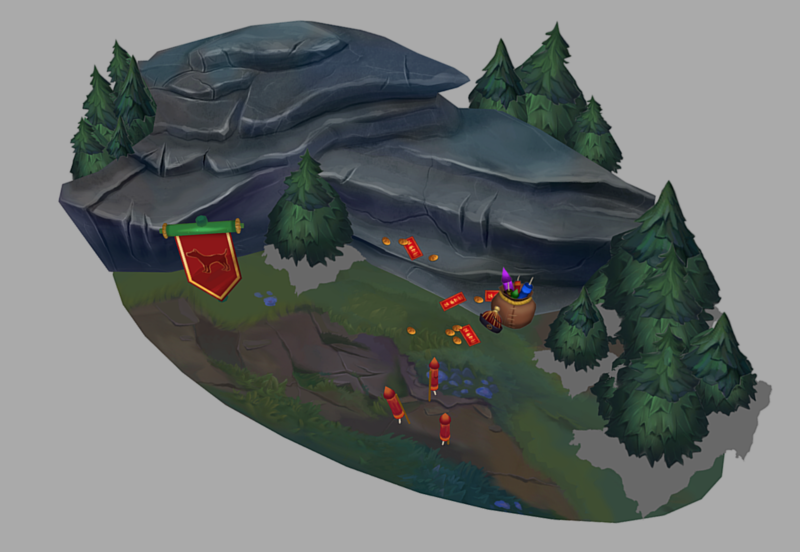 Small update, showing how it should look over Summoners rift as well. Kind of struggling on time but I hope I can finish everything! Seeing as the deadline is coming up fast I figured I should start the second part of the task rather than focusing solely on the minion den. So i modeled, uv'd and began texturing an inhibitor. 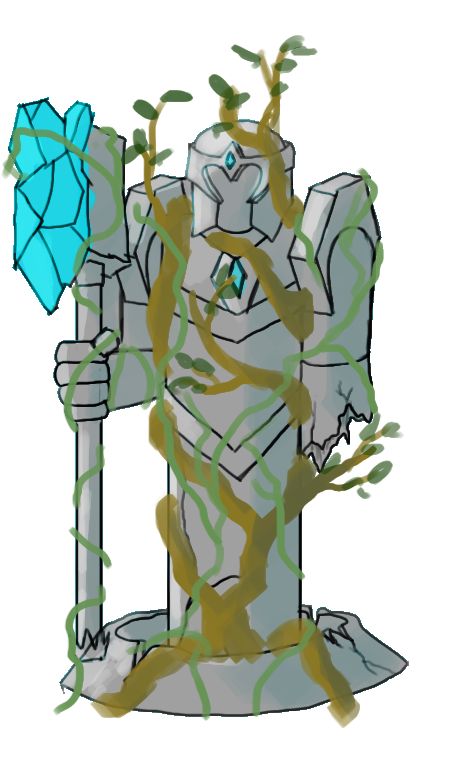 I was originally going to do a tower going along with the nature theme but I feel as though I might not have had time to finish, so instead I am sticking with the nature theme and applying it to an inhibitor. I am really liking how its coming out, although I am not to happy with the amount of tris, currently at about 6400 tris. At this point i am just hoping i will have time to finish up! 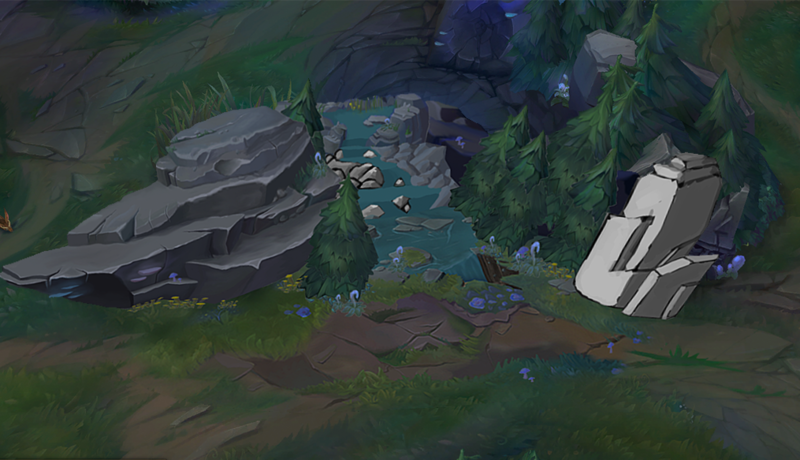 Got a little bit of progress done on the inhib, really just trying to manage my time now. Still really need to work on it but just trying to get some base colors done. I think it looks great and a tree log would work nicely in overall composition. Also, your trees look very good. 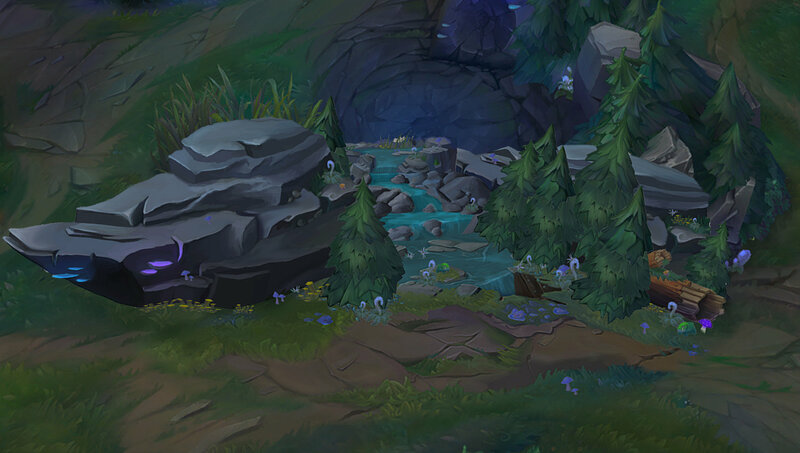 I had to look very hard to be able to discern them from native Summoner's rift trees. What I think you could do is update your rocks a little If time allows. If not, I'm sure, your next hand-painted piece will be much better. Right now your edges are very sharp and contrasted. Especially on the bottom large rock. This creates a comic-like look. 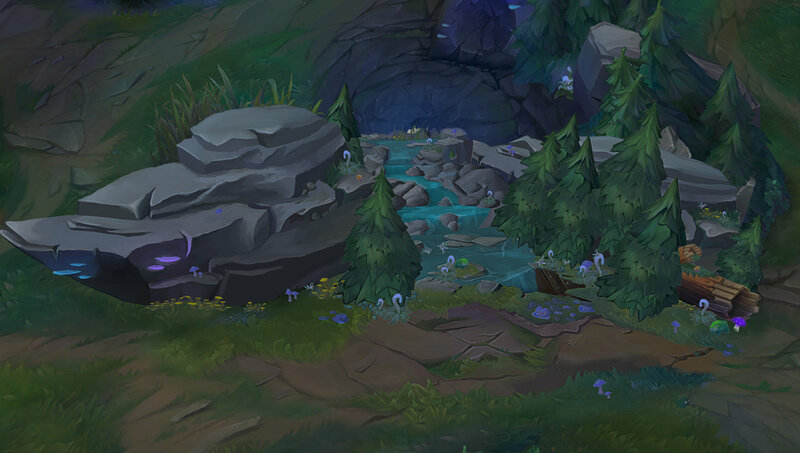 Which is fine when it's required, but summoner's rift is much more subtle and painterly in it's style. 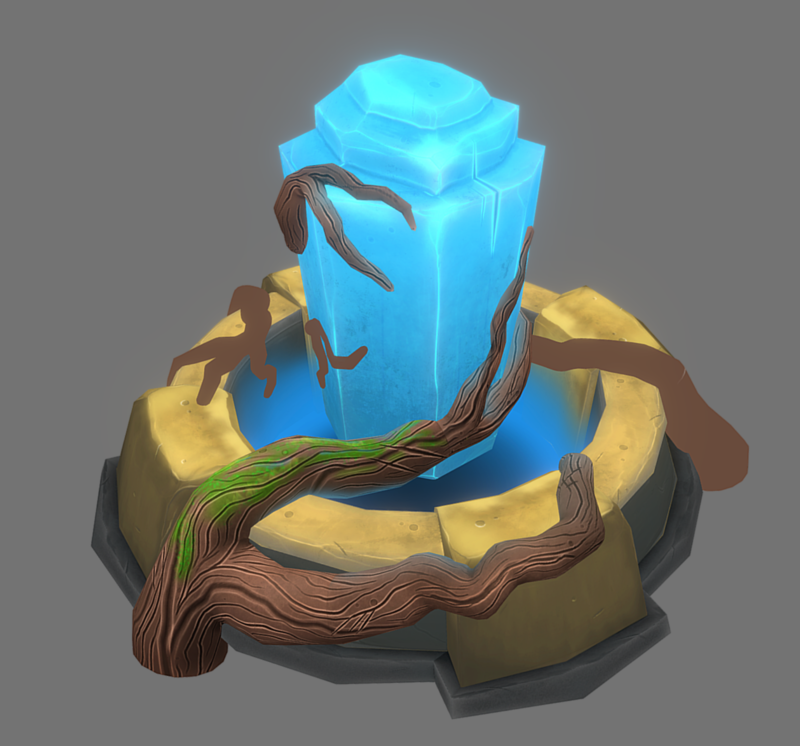 What could help is breaking down the texture on your model to larger planes and filling them with different values and shades of color to create a simple, very basic shape. Kind of like here. 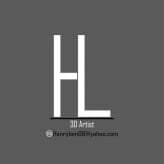 This could help establish basic 3D feeling without relying on sharp lines. Don't be afraid to splash a little color into your work. You're already doing that (very good!) but you could still do more. There are no absolutely black and white colors in nature and every shade could be exaggerated to something brighter and more lively. Especially in a fantasy setting like League of Legends. 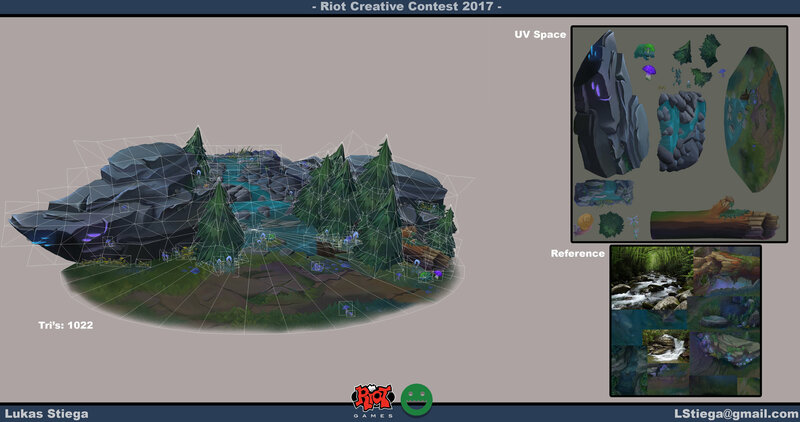 If you take a closer look at the rift screenshots you'll notice that most of the prominent details are concentrated at the lighter areas and focal points. This is due to the fact we subconsciously seek out focal points (light on overall dark, dark on overall light, points of high contrast etc.). So to create a pleasing experience for the viewer, we need to concentrate most of the details in highest contrast at the most lit points, gradually reducing contrast and amount of details as we go further from them. This allows creating areas of rest and areas of interest. If everything is plain, the image is usually boring. If everything is detail-filled and noisy, eyes get tired of the image really fast. Also try not to make your details too repetitive. If you decided to use a crack in the stone, consider using something else in the adjacent area. Too many similar details can create a feeling of rhythm and draw unnecessary attention to a particular place or even look unnatural. With this all said, i did a little overpaint of a part of your work, where i tried to implement all I've listed here. This is just a fast example of a rock. In your work the absolute focal point is the waterfall. So you could add some minor highlights or details to help it grab more attention. It's looking a little shy now. @Svartberg Thank you se much for this in depth critique, I really appreciate it and I taught me a whole lot! I will most certainly try to implement all of the things you talked about, just hoping I will have time! Once again Thank you! Continuing working, but with class i am really struggling with time. But i will work until the very last minute, I am taking this much more as a learning process this time! Hopefully I will have enough time to at least get my pieces to a place where i feel proud enough with them! Finally think I finished up with the minion den! I am fairly proud of it but it definitely could have been a lot better! With only one day left its time to attempt to finish up my inhibitor, hopefully I will find the time to finish. 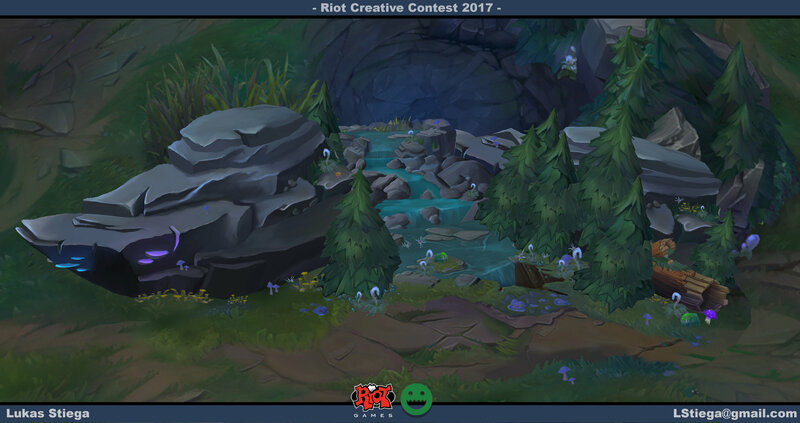 If anyone has some last minute critiques on the minion den I would greatly appreciate it and would try to add the adjustments in time! I will be posting the final pieces tomorrow! Your creep den is looking great! 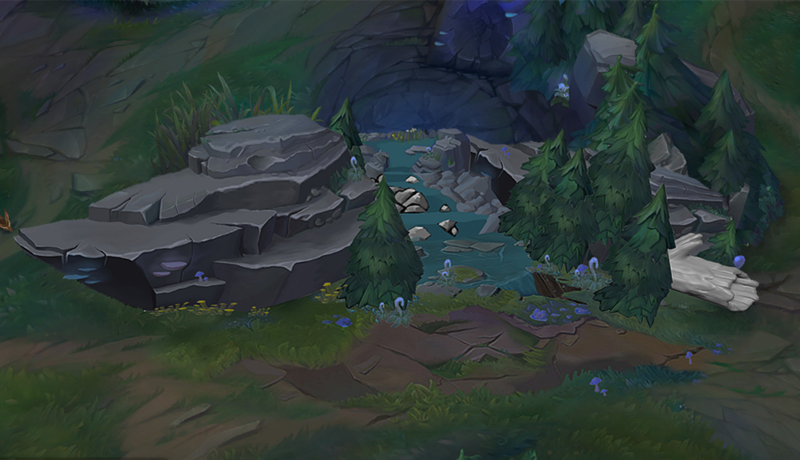 The biggest issue I find with it is that the rocks seem to be much smoother than the trees. 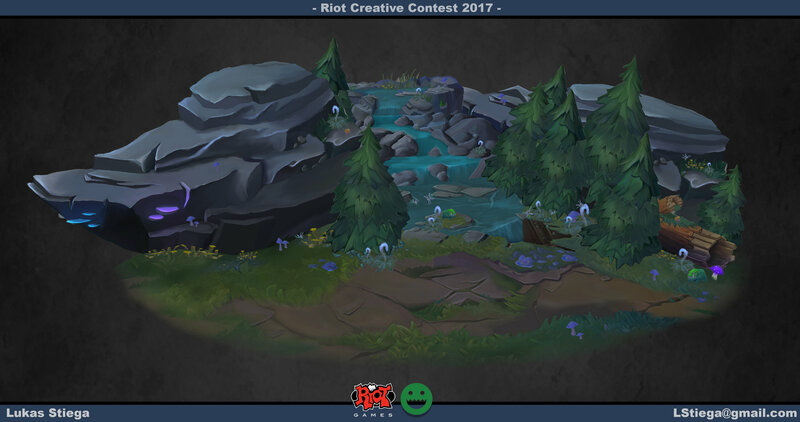 I would say that the trees need over painted (as they look to be just composited screenshots from the game) to match the rocks more or vice versa. The same could be said for the log on the right. Great concept, though! I love the waterfall and all of the strange foliage bits. Believe me, I know how you feel! I recognize the same problems with my textures. If you have access to Photoshop or something similar, sometimes a quick levels or contrast adjustment can help bring out those high points. 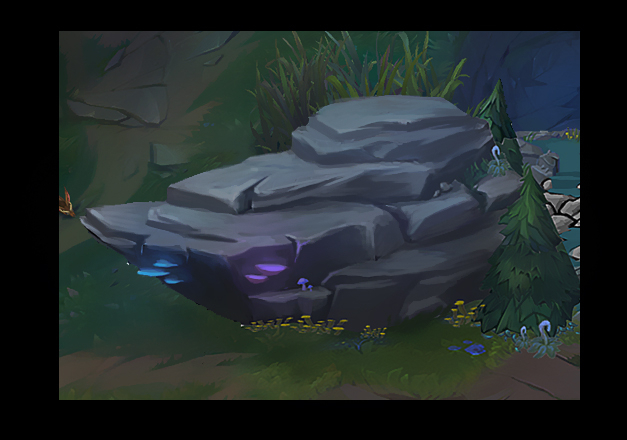 I tend to go too heavy on contrast and I had to dial it back to match the environment of LoL. I still didn't quite get it but recognizing what's wrong is half the battle. Good luck! 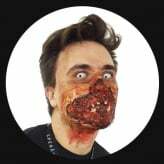 Thank you @brettmarshalltucker for letting me know of a quick solution, I am sure this wont completely solve the problem but with so little time left any little shortcuts I can use will help me out a ton! I hope this slight update helped! Finally Finished up the Inhibitor, I am very happy with how it came out! If i had to change anything I would probably work on the snow a bit more and perhaps create a transition from the wood to the ground plane! I also found that the ploy count was a bit ridiculous but I didn't know what else to remove, the branches just were too expensive. 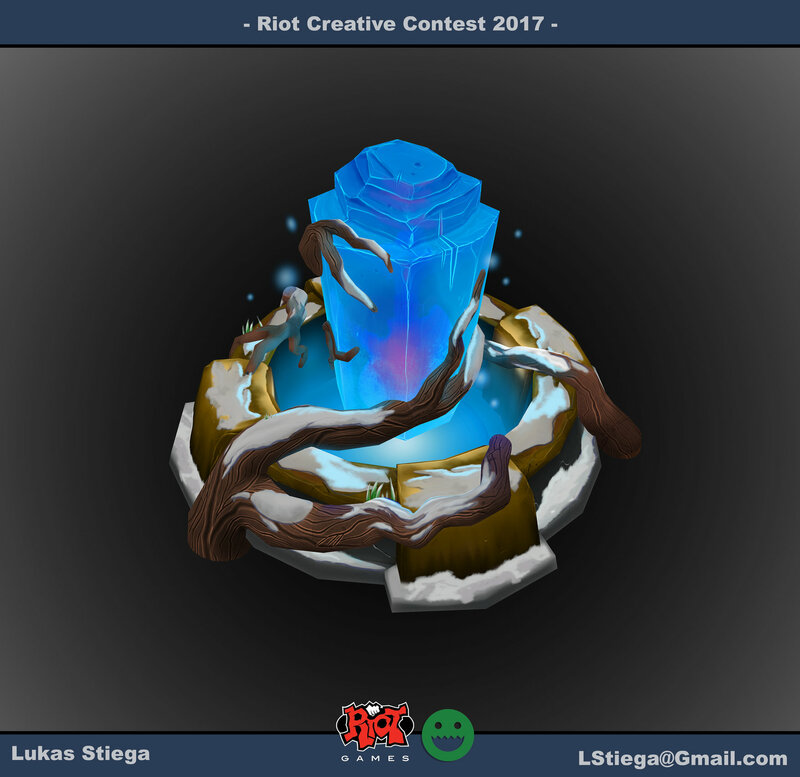 I really enjoyed this contest and I learned a whole lot from it! Best of luck to everyone who participated!